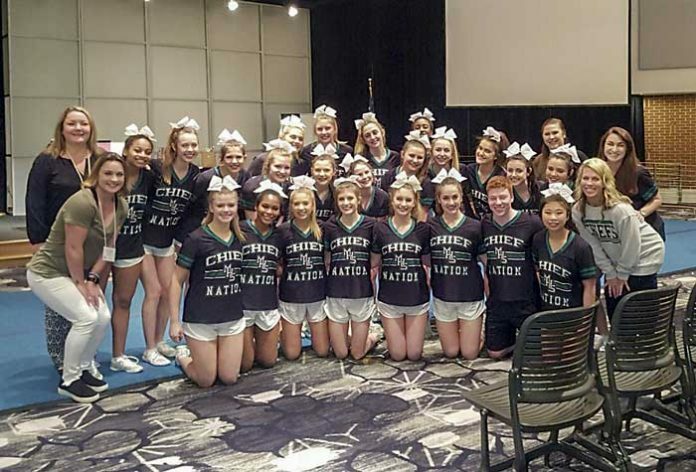 McIntosh High School Varsity Sideline and Competition Cheerleaders have been named Georgia Team of the Year by the Georgia Cheerleading Coaches Association (GCCA). The cheerleaders were recognized on March 14 at the GCCA Spring Conference at the University of Georgia Hotel and Conference Center. The award is Georgia’s premier award to recognize hard-working, committed and successful programs. Cheerleading is about athletics, academics, and service to the community. This award takes each aspect into consideration when seeking to recognize the top program in our state. McIntosh is in Peachtree City, one of five high schools in Fayette County. Photo/Submitted.